The Health Insurance Portability and Accountability Act of 1996 is one of the most important pieces of legislation to affect the healthcare industry, yet many healthcare providers and insurers are unaware of HIPAA obligations, in particular those relating to the HIPAA Breach Notification Rule. There has been considerable criticism of healthcare providers and insurance companies in recent months regarding the speed at which individuals affected by data breaches are notified that their healthcare data and personal information has been stolen, lost or divulged to an unauthorized individual. With this in mind, and given the rise in the number of HIPAA data breaches in recent months, we have prepared a summary of the important elements of the HIPAA Breach Notification Rule to help healthcare organizations respond quickly to data breaches and stay HIPAA-compliant. 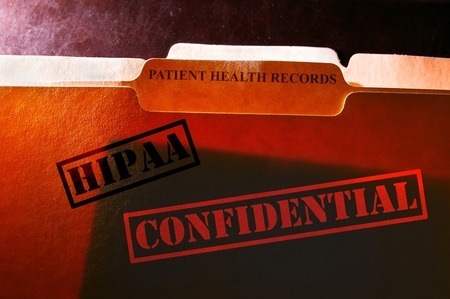 HIPAA Rules set standards which healthcare providers and other covered entities must follow in order to reduce the chance of patient data being exposed; however even with the most sophisticated data security systems, it is still possible for unauthorized individuals to access computer systems. One need only look at the recent hack of the Pentagon’s Twitter account to show that no organization is impervious to attack. If a data breach occurs which exposes the PHI of more than 500 individuals, the Department of Health and Human Services’ Office for Civil Rights must be notified “without unreasonable delay”, and certainly within 60 days of the discovery of the breach. The report should be made via the OCR Breach reporting web portal. Breach Notification letters must also be sent to all affected individuals – see the section below. A prominent media source serving the state in which the victims are located must be alerted to a data breach affecting more than 500 individuals, and that notice must be issued within 60 days of discovery of the breach. While it is not mandatory to post information relating to the breach on the company website for all breaches, if more than 10 individuals cannot be contacted due to incomplete contact information or if there is out of date contact information, a notice must be posted prominently on the company website for a period of 90 days, or if this method of notification is not chosen, the organization must publish the information via major print and broadcast media. A Toll free telephone number must also be provided to allow breach victims to get in touch with any questions. Data breaches involving fewer than 500 individuals require notifications to be sent to all affected individuals without unreasonable delay, and within 60 days of the discovery of the breach. The media does not need to be informed of these small scale data breaches, even when they involve the compromising of Social Security numbers and healthcare data. The Department of Health and Human Services’ Office for Civil Rights must be notified of all sub-500-record data breaches within 60 days of the start of the new calendar year. I.e. data breaches occurring on January 1 would not need to be reported to the OCR until March 2nd of the following year. Any Business Associate that discovers they have been responsible for a breach of PHI must notify the covered entity of the incident no later than 60 days after the discovery of the breach. Efforts should be made to identify the individuals affected as well as the data that was compromised in the incident. When a breach does occur, all covered entities, including their Business Associates, are required to notify all affected individuals that their Protected Health Information has been exposed, whether it was due to a hacking incident, a lost laptop or Smartphone, or any other device that contained unencrypted PHI. The HIPAA Breach Notification Rule also applies to paper records, x-ray films and all other physical records containing PHI. The loss, theft or disclosure of these records also requires the affected individuals to be notified. Breach notification letters must be sent via first class post, although in cases where individuals have agreed to receive communications via email, this is an acceptable means of communication. The notification letters – or emails – must include details of the breach, the information that was potentially exposed, a description of the actions taken by the company in response to the breach, information on the efforts made to mitigate damage or loss and the actions which can be taken by individuals to mitigate risk. If a portable device or desktop computer has been lost or stolen, it is only considered a HIPAA breach – and therefore only requires breach notification letters to be sent – if the PHI contained on the device, or accessible through it, is unencrypted. In the case of loss or theft of encrypted devices, breach notification letters only need to be sent if the security key was also lost or stolen. N.B. Password protection is not the same as data encryption. In the case of loss or theft of devices containing password protected PHI, breach notifications will still need to be issued. All covered entities must maintain a record of the actions taken following a breach, as these may be required by OCR auditors. The HIPAA Breach Notification Rule requires details of the breach notification letters that have been sent to be recorded, along with evidence that they have indeed been sent. If breach notification letters are deemed not to be necessary, the reason for this decision, along with evidence to support it, must be documented. The failure to issue breach notification letters within 60 days of the discovery of a breach is a violation of the HIPAA Breach Notification Rule and can attract a penalty from OCR and state attorneys general. The maximum penalty for non-compliance is $1.5 million, per violation category, per calendar year. In 2017, OCR took the decision to pursue a case against Presense Health for delaying the issuing of breach notification letters. Presense Health discovered the breach on October 22, 2013, yet OCR was notified on January 31, 2014 – more than a month after the 60-day HIPAA Breach Notification Rule deadline had passed. Presense Health settled the case for $475,000.